Yes, I do. I do not need to worry about dirt resurfacing in your carpeting from incomplete cleanings as other cleaners might. I know I do not surface clean or clean just the top inch or so of soil from carpeting. However if on a rare occasion, a stain or spot I cleaned reappears, my promise to you is I will come back and do everything in my power to remove it. No questions asked! If it is humanly possible to remove a stain or spot -I guarantee that I a can remove it and I will. My #1 goal is to make you happy. That said, I am forced to acknowledge some stains are permanent. Whenever possible I will tell you if this is the case when I come out the first time. If you choose to have me try anyway, I will do my best for you but obviously cannot be held responsible for removing it. I do have other options for you in such a case, such as carpet patching or heat transferring. I would be happy to explain more after I have seen what your particular stain requires. The normal drying time is from 4 to 6 hours. Drying time also depends on the thickness of pile and fibers, the weather conditions and the circulation of air in your home. Yes. I can provide you with a copy of my business license. What can I do to prepare my carpeting to be cleaned? Please remove any breakable and smaller items in areas that you want me to clean. I will handle any heavier furniture such as couches, end tables etc, as I clean. Your moveable furniture will then be placed on small foam blocks or plastic tabs to keep the legs from touching the damp carpeting until it has had a chance to dry. The most important thing you can do before I arrive is to give your carpeting a good thorough vacuuming. 78% of the soil in a carpet will be removed from vacuuming. The remaining 22% is the oily soil or spots. That is where I come in. I use some of the safest detergents in the industry. I am dealing with these products on a daily basis, so my concern is for them as well as all of my valued customers. These cleaning detergents are guaranteed safe around children as well as your pets. I also offer allergy-free cleaning solutions which are the safest, green products and the most effective technology to assure not only your satisfaction, but your safety as well. Whatever detergent is pre-sprayed onto your carpeting and/or furniture, I then rinse with an extraction process being heated soft water. I’ve Heard It’s Best to Put Off Having Your Carpet Cleaned as Long as Possible. Is this true? No. In fact, many of the major carpet mills today recommend professional cleaning at least once per year. The buildup of soil in your carpet in combination with foot traffic creates abrasion that breaks down the carpet’s fibers. The higher the traffic in a given area, the more often the carpet will need cleaning. The Major carpet manufacturers recommend hot water extraction (steam cleaning) as the preferred method for cleaning carpet. Like the laundering of your clothing, steam cleaning is highly effective in removing soil and other contaminants from your carpets. Because I use a 25 horse-power, truck-mounted equipment my cleaning process sanitizes your carpet fibers as Well as rinses out all cleaning solution so that I can guarantee to you absolutely that there is no residue left in your carpet fibers. Unlike “dry cleaning” processes which just clean the top 2/3rd of the fibers and leaves cleaning residue because they are not capable of rinsing. I’ve Heard Carpets Should Never Get It. Should I Dry Clean Them? Dry cleaning companies tend to use this scare tactic. Major carpet manufactures recommend hot water extraction as the best way to maintain the carpets appearance and warranties. The thing is to make sure you hire a company like Dave The Carpet Cleaner who extracts the majority of the hot water made in its cleaning, and guarantees completely dry carpets in about 4-6 hours of cleaning. No, absolutely not. My process completely cleans and rinses all the fibers including the lower 1/3rd of the fibers. No moisture penetrates through the backing or gets to the pad. My Carpets Don’t Look Dirty: Why Should I Have Them Cleaned? All carpets act as a sink. Carpeting filters and collects sources of soil, bacteria, allergens and pollutants from the indoor environment. This collection and filtering process allows carpet to trap contaminants within the carpet and, like any filter; it needs to be thoroughly cleaned out from time to time. These contaminants in your carpet can contribute to an unhealthy indoor environment, whether in a home or office. These days, carpets are designed to hide soil and maintain a clean appearance. By the time your carpet looks dirty, it is very dirty. A soiled carpet will wear more quickly and well not last as long as a carpet that has been properly maintained. Truck mounted vs. Portable Machines. My main equipment is mounted within the truck itself. Truck mounted equipment is a more powerful and efficient machine vs. being a portable unit in your home. With the truck mount equipment the only equipment that will enter your home is a water hose, wand, and suction hose. All the waste water that is removed from your carpet goes straight into the waste tank on the truck. I will not need to use any of your electricity. How can I be sure that a stain or odor is going to come out of my carpet? 1. Thorough cleaning and sanitizing for minor odors. 2. Professional enzymes counter-attack for moderate odor. The one problem with pet odor is that it can be much deeper than it first appears. Pet urine can easily soak through the backing of the carpet and get into the padding underneath. In more severe cases the urine can penetrate into the sub-floor beneath the padding and create a problem that is multi-layered. To eliminate this problem the urine must be removed and neutralized from each of the layers effected. In the most revere cases, replacement of the carpet padding, treatment of the under-side of the carpet and the sub-floor may be required. Even replacement of the carpet, however, cannot guarantee complete removal of the odor. At Dave The Carpet Cleaner I offer a range of solutions to help you with your pet odor problems. In the long run it may be more a matter of proper maintenance instead of total elimination. Pet ownership adds the challenge of maintaining a clean and healthy home. Dave The Carpet Cleaner can help you meet those challenges. You can walk on the carpets immediately, but make sure the soles of your shoes are clean. Soil on the sole of shoes will track off onto the slightly damp carpet. Be careful from walking from the carpets to solid surfaces it might be slippery. The five largest fiber producers–Allied, BASF, DuPont, Hoechst Celanese, and Monsanto–all recommend periodic professional cleaning. Most major carpet will agree. Shaw Industries, the world’s largest carpet manufacturer, recommends hot water extraction cleaning by a trained professional. DuPont, in their report on “Indoor Air Quality: A Technical Review of Carpet Contributions” states, “Since carpets do act as a sink for many types of particles, periodic professional cleaning is very important”. Exactly how often depends on a number of circumstances. DuPont recommends cleaning at least once every 18 months. Other considerations increase the frequency rate: indoor smoking, children, pets, & allergies are some factors to consider when determining the ideal frequency for your home. Most of my clients are serviced every 6-12 months. How Soon Can I Have My Carpeting Cleaned When I Call? Yes. For all of Riverside my minimum charge is $84.00 Surrounding cities will vary depending on your actual location. Please call my office for more details. I accept cash or check. I will also accept all major credit cards. I Get Coupons All the Time for Really Low, Whole-House Rates. What is the Difference Between You and Those Guys? Sometimes when I am asked this, I don’t even know where to begin. I all know the old adages “if something seems too good to be true, it probably is” and “you get what you pay for”, yet some of me seem to throw caution to the wind when it comes to choosing service providers for my homes. Dave The Carpet Cleaner has invested thousands and thousands of dollars into my business equipment, as Well as continuing industry education, insurance, gasoline, taxes, etc. I will never run a “whole house for $89.95″ special. Why? Because I wouldn’t be able to stay in business! It cannot be done for that price. That is the bait to get the cleaners in the door. You can bet that the person sent to your home has little or no carpet care training or experience. He will, however, be schooled in high-pressure sales techniques. The switch is the next step. Extra charges for spot cleaning, traffic lane treatment, basic furniture moving, even for a “cleaning chemical” to be added to the carpet will rack up quickly. You lose in the end because now you have paid much more than you ever expected, and your carpet has probably been poorly serviced as Well. Needless to say these companies use cheap harmful chemicals and the residue is left in your furnishings. Companies who engage in these practices are not ethical. And if they don’t practice ethics in their pricing, do any of me really believe they are going to go the extra mile to make sure your cleaning is performed with care? I have heard and seen enough horror stories to last a lifetime from folks who couldn’t resist the siren call of a dirt cheap price. Ask around– some of your friends and neighbors have made these “cheap” coupon people. Find out what their experiences have been. And remember, the bitterness of poor quality lingers long after the sweetness of a cheap price is forgotten. If you have light colored carpet, you may have experienced these dark lines that appear on the carpet. This soiling is called filtration soiling because it comes from air passing through the carpet as it is attempting to get through the crack between the carpet and the baseboard or under a closed door. As the air passes through the edge of the carpet pile, this microscopic soiling is deposited there (hence the term filtration soiling). This occurs over a significant period of time and is not noticed until a buildup has occurred. This type of soiling is difficult to remove because the soil particles are so fine that they penetrate deep into the carpet pile, sometimes into the backing of the carpet. Can it be removed? Sometimes with special products, time and effort, reasonable results can sometimes be achieved. To help prevent filtration soiling, vacuum and wipe the edges of the carpeting on a regular basis. Be careful around the tack-strip on the edge of the carpeting, it could nick your fingers! I offer a 100% money-back guarantee. If you are not thrilled with the service experience you receive from me, I will rush back to your location at no charge and no obligation. If you are still unimpressed, I will issue a 100% refund up to $1000.00 upon request. 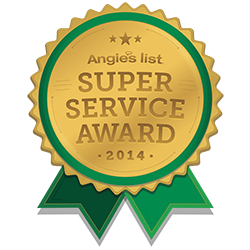 My mission is to provide you with the most outstanding service experience you have ever received! I am registered with the Better Business Bureau, as Well as many other industry organizations. No, although my process rinses the carpet deep down, moisture does not penetrate the backing of the carpet. With my powerful truck-mounted equipment, your carpet is thoroughly rinsed, but left only damp to the touch. Pet odor is a very common problem. I can help you deal with your pet challenges. From minor problems to major headaches, I can help find the solution that works best for you. The problem with pet odor is that it can be much deeper than it first appears. Pet urine can easily soak through the backing of the carpet into the padding underneath. In more severe cases the urine can penetrate into the sub-floor beneath the padding. This creates a problem that is multi-layered. The urine also provides for the growth of bacteria. This, in turn, contributes to a worsening of the odor problem and can contribute to permanent color loss of the carpet fiber. To eliminate this problem the urine must be removed or neutralized from each of the layers effected. If the contamination is limited to only the face yarn of the carpet then the cleaning itself may effectively remove the odor. In more severe cases a urine neutralizer may be applied. In the most severe cases, replacement of the carpet padding, treatment of the under-side of the carpet and the sub-floor may be required. Even replacement of the carpet, however, cannot guarantee complete removal of the odor. Left untreated over a period of time pet odor can become absorbed into many of the porous materials in your home. Draperies, sheet rock, upholstered furniture, base-boards, even the concrete foundation are just a few of the materials that can absorb these odors. I offer a range of solutions to help you with your pet odor problems. In the long run, however, it may be more a matter of proper maintenance instead of total elimination. After all, I love my pets and want to keep them a part of my family. Pet ownership adds to the challenge of maintaining a clean and healthy home. I can help you meet those challenges. My “12-step cleaning service” exceeds these specifications. In addition to these steps The Dreyer’s Cleaning & Restoration Team has powerful truck-mounted equipment combined with my exclusive “Quick-Dry” process which reduces drying time to only a few hours. Yes, you should remove from the areas being cleaned, all knick knack and breakables. Yes, having your carpet, furniture and Air Ducts cleaned removes pollutants and makes for a friendlier breathing environment. Let me start by defining the difference between a spot and a stain: a spot is any foreign material (soil, liquid, etc.) that is removable by standard cleaning methods. (The foreign material is on or around the carpet fiber) A stain is foreign material (soil, liquid, etc.) on carpet that is not usually removable by standard cleaning methods. (The foreign material has penetrated ‘soaked into’ fiber and has changed or damaged the fiber itself) Some stains may be very difficult or impossible to remove. Yes, my process leaves your carpet fresh, clean, residue free and soft to the touch.